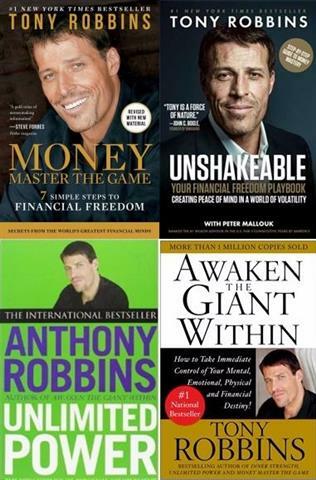 It’s impossible to search the self-help section on a bookstore without coming across Tony Robbins. In this article, we will cover his biography, books, net worth, and most importantly, his inspirational quotes and wisdom that can change your life. 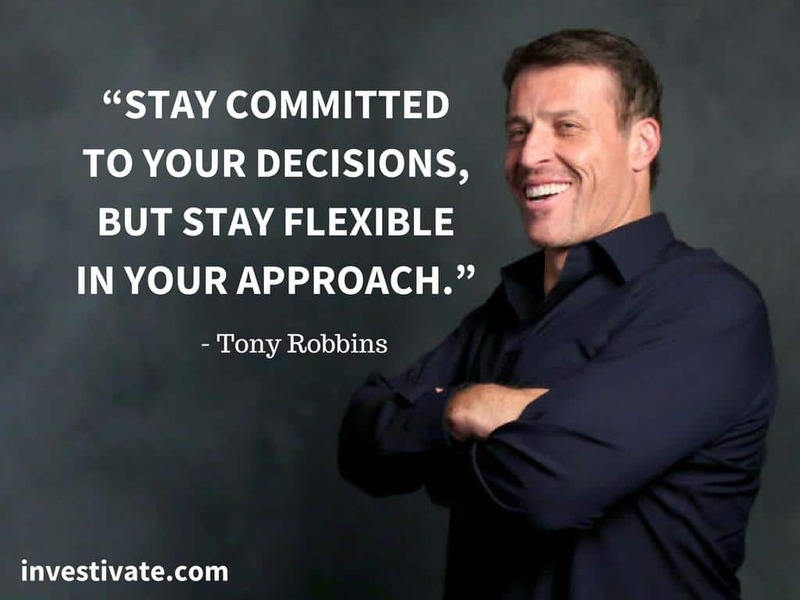 Life and business strategist Tony Robbins is committed to helping people live an extraordinary life – living the life of their own terms. 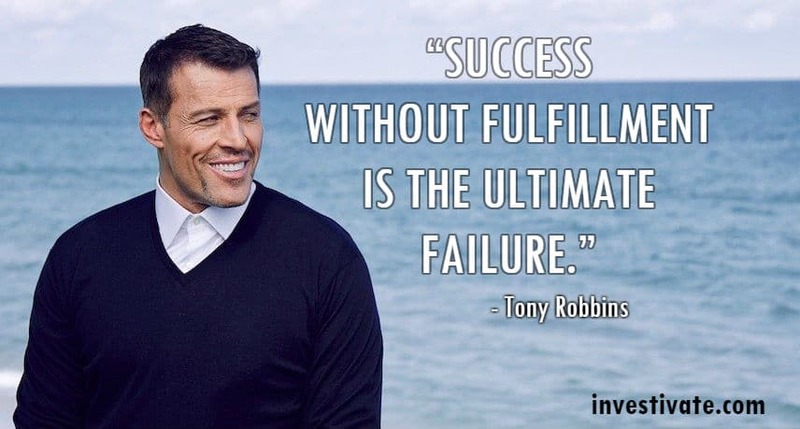 With a huge amount of success worldwide and a wide array of books and seminars aimed to teach his fans and audience how to achieve their goals, it’s clear Robbins is one of the most influential motivational speakers of this generation. But perhaps what distinguishes Robbins from other coaches and speakers is truly his charisma and ability to influence others. Tony Robbins’ events always fill up huge convention centers with eager and interested listeners. With over 50 million people helped, more than 4 million people have attended his live seminars from over 100 countries, his message is not only clear, it’s also a global one. But let’s learn more about the charismatic motivational speaker and discuss some of his most notorious career achievements. Born in 1960, Robbins’ early life is as tumultuous as possible. With an absent father, a drug and alcohol-abusing mother, and no money to provide for the family, Robbins life wasn’t always as glamorous as it is today. After being kicked out of his house by his mother when he was 17, his decision to not come back home was certainly one of the first steps towards becoming who he is today. Surprisingly enough, he decided not to attend college, and instead work as a janitor to make ends meet. Robbins started his career, promoting seminars for his early mentor, a well-known public figure named Jim Rohn in the late 1970s. Later on, he started to work on his own as a self-help coach, although he had no formal educational background in Psychology. Firstly focusing on incorporating Neuro-linguistic Programming (NLP) into his seminars, he later learned more about fire walking, board breaking, and incorporated these into his seminars, as a way to incentive the audience to face their fears. His first big break came in 1988 when he first released his books and infomercials, which focused on his services as a “peak performance coach”. Often featuring actors or athletes, these infomercials took Robbins and his career straight into stardom. From this first commercial up until today, Robbins has built a notorious empire, releasing several National and New York Times bestseller books. In 2007 he was also placed 67th in Forbes Power Rank. Robbins has been honored by Harvard Business Press as one of the “Top 200 Business Gurus”, by Accenture as one of the “Top 50 Business Intellectuals in the World”. American Express praised him as one of the “Top Six Business Leaders in the World” to coach its entrepreneurial clients. His net worth is mentioned on Forbes and Time magazine and estimated around $480 million dollars. Not only known for his career achievements as a motivational speaker, Robbins is also known as a philanthropist. Back in 1991, he started the Anthony Robbins Foundation, which focused mainly on empowering individuals and organizations, mainly working directly with schools and prisons. In the last two years, Robbins has provided over 200 million meals to those in need. Through his partnership with Feeding America, he is on track to provide a billion meals by 2025. He also provides fresh water to 100,000 people a day in India. He has also initiated programs in more than 1,500 schools, 700 prisons and 50,000 service organizations and shelters. He is one of the biggest givers and contributors in the world. We have collected and put his best quotes in the following categories. Enjoy reading these insights and feel free to share this page on your social media to inspire others. Robbins is also big on living with gratitude and fulfillment. He also advises people to master two important skills which are The Science of Achievement and The Art of Fulfillment. Whether you love Robbins’ message and his way of coaching people or not, it’s impossible to deny the impact he has made in the world. Always charismatic, enthusiastic, and passionate, Robbins will continue inspiring other people around the world. We expect great things from Robbins, and can’t wait to read his next book or check out some of his next seminars. If you love his quotes above, make sure to share this page to your friends and people you care about. And as Tony would say, live strong and live with passion! At Investivate.com, we cover a wide range of topics including business, finance, entrepreneurship, success, personal development and much much more. If these are the areas of your expertise and you'd like to share your knowledge with our readers, feel free to contact us today for content contribution opportunities. All products and services featured are based solely on our selection and opinion. All product names, logos, and brands are property of their respective owners. Our site may receive compensation for some links to products and services on this website. This site is a participant in the Amazon Services LLC Associates Program, an affiliate advertising program designed to provide a means for sites to earn advertising fees by linking to Amazon.com.